Revel in me...: That ride. YES LARR, I know I am damn short. Then, out of the blue, one of the girls saw a ride she couldn't resist. 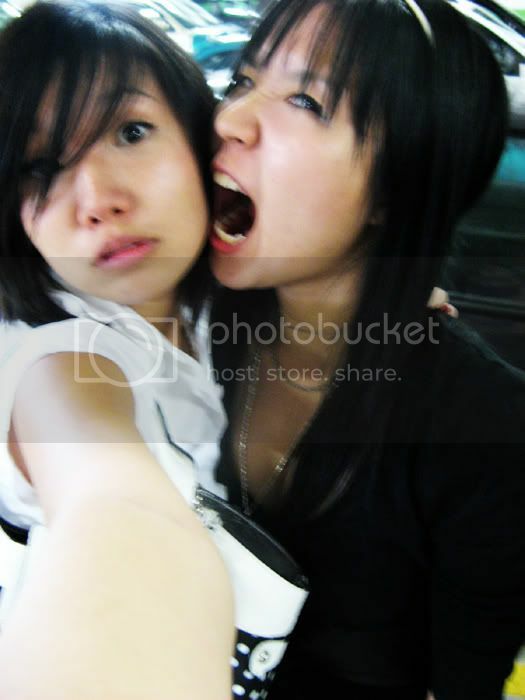 Excitedly, she clambers into it. 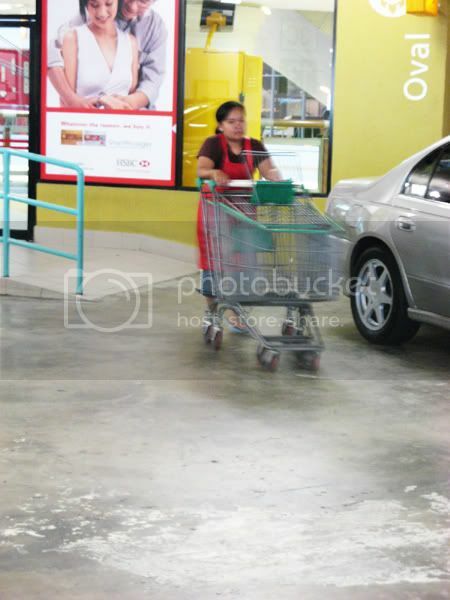 The trolley auntie came to retrieve back all the trolleys! 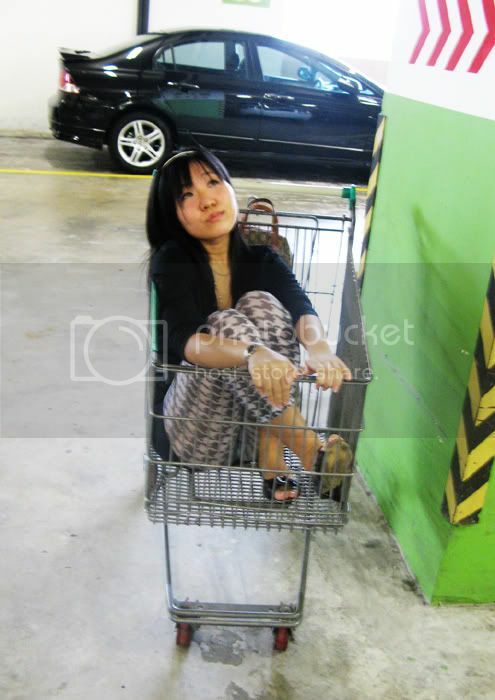 eh i like to sit in trolleys too! 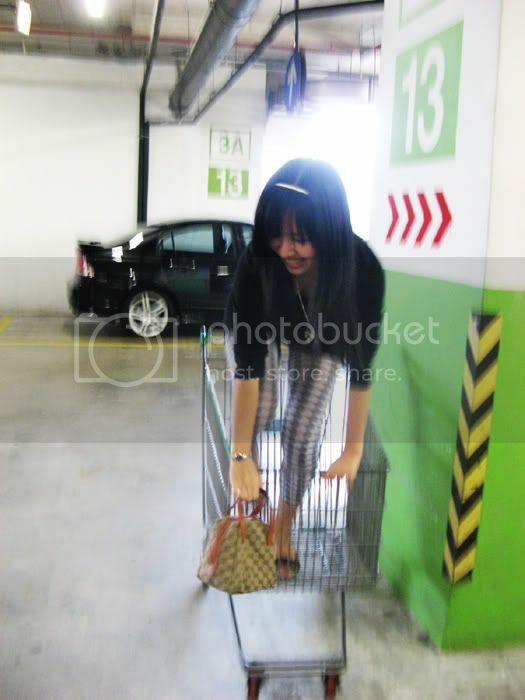 once my girlfriends and i were sitting in one in mid valley's carpark haha and a few working people stared with eyes bulging out of their heads. or i'll make my bf push me and he'll push me into pillars or push fast fast into a wall. maybe he wants to get rid of me wtf.